We’ve all heard the adage that first impressions are everything. You can, and certainly do, judge books by their covers and your brand is no different. First impressions are real, and so is the weight they hold when it comes to the direct opinions people develop of your brand. Your brand will speak for your company even when your salespeople aren't there. Businesses that sell to other businesses can often end up focusing too much on account names and lose sight of the real people who work at target companies. B2B marketers have to remember that there are still human beings with whom you're speaking. Brand development is crucial to gaining their business. The one thing people will remember, if nothing else, is how you made them feel. Is your brand working for you? Here are some of the most important reasons why your brand might be failing to set you apart and communicate why you matter. 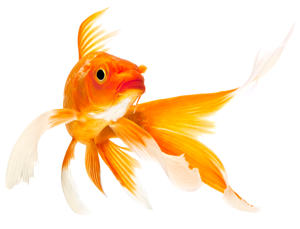 We like to use Goldfish Rule when evaluating messaging (particularly messages delivered through digital channels). The average goldfish has an attention span of 8 seconds. 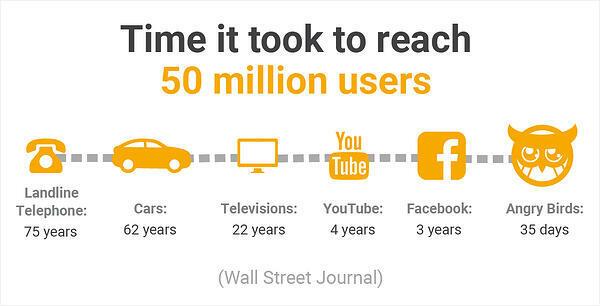 The average website visitor has an attention span of 6 seconds. This means you have a limited amount of time to capture someone's attention, so you better make sure your first impression matters. Buyers are bombarded with endless content and compensate by devoting less attention to each individual piece. It's not enough to have a website that's flashy and sleek. It has to actually say something to be memorable. This knowledge of how people process information in the digital age must be integrated into how you relay your benefits. You need a quick, hard-hitting message, but that’s only half of the battle. The other half is standing out. Your brands core message and primary benefits should be summarized in your unique value proposition. Your unique value proposition (UVP) is the promise of the value your product or service will provide to your target market. It should be compelling and — most importantly — different than that of competitors in your space. Think of your brand’s message/position (if this isn’t easily done in under one minute, there’s your first problem). Write it down on a whiteboard. Draw your logo above it. Now ask, “Do these two things in unison create a true statement?” If this isn’t a clear “YES!” you need a serious talk with everyone in the company. Now erase your logo. Replace it one-by-one with the logos of close competitors. Ask around. If your message matches with competitors' logos, go back to the drawing board and redefine your messaging. B2B companies don't have one decision maker for a purchase. Research shows that the average buying group is now 6.8 people. Gaining insight into the specific pain points of the buying group is one of the most valuable pieces of intelligence your company can acquire. You should be able to identify a common pain point for the entire buying group that your solution addresses, but also pain points of individuals that comprise the group. Your brand should speak to those pains in a way that's meaningful to each buyer. The more you can appeal appeal to their values, emotions, and priorities, the more successful your branding will be. Don't have this kind of insight into your buyers? Check out this blog that helps you create buyer personas that can be used to uncover these insights. It is vital to understand one thing in this day and age: sitting on the bench too much will quickly get you kicked off the roster. In the last 15 years, 52% of Fortune 500 companies have disappeared (CB Insights). While their downfall was not always related to branding, it was the result of failing to iterate and adapt. The pace of change is only accelerating, and you have to be agile to keep up with your current and future competition. This is true for your brand messages, all the way through to your colors and the fonts in your style guide. You should regularly evaluate your brand to ensure it's on message with buyers expectations now and in the foreseeable future. A new logo, font, and color palette is not the answer to a brand that doesn't resonate. What you say is just as important as how you look. If your brand just isn't getting the job done for you, then taking the time and effort to learn more about your target buyers is the best place to start. Once you know what's important to them, you can create messages that make a difference. Need help crafting a powerful, differentiated message? Learn more about signing up for a Differentiation Workshop led by our strategy experts.